Out of all the makeup products available, my favorite has always been bronzers and bronzing powders. And I’ve spent a fair amount of time trying to find one that compliments a real tan during the summer but also gives a touch of color during the winter months. Since moving to Hawaii, I’ve been pretty good about shielding my face from the sun, so I want a bronzing powder that matches the tan elsewhere on my body. 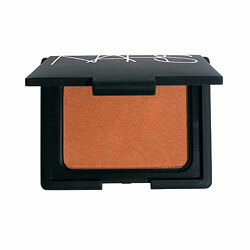 MANY bronzers later, the one I like the best is Nars Bronzing Powder in Laguna. The Nars Bronzer is $32 at Sephora but can be found at most department stores too.